Owning your own home is about more than just being able to decorate any way you like; it’s about being prepared to maintain your home over the years, realizing that part of your income and time will go toward repairs and maintenance. It’s about being willing to take the risks of home ownership with a realistic expectation of the rewards. Unless you plan to purchase with cash. You’ll need a home mortgage and it’s best to review your credit reports early in the process in order to find and correct errors which can potentially raise your credit score and reduce the costs of borrowing. Sellers are more receptive to potential buyers who have been pre-approved. You want to avoid being disappointed when pursuing homes that are out of your price range. With Pre-Approval, the buyer actually applies for a mortgage and receives a commitment in writing from a lender. As long as the home you’re interested in is at or under the amount you are pre-qualified for, a seller will know that you are a serious buyer for their property. Costs for pre-approval are generally nominal and lenders will usually permit you to pay them when you close your loan. Do you like the idea of cleaning your own gutters? Do you quiver at the thought of landscape maintenence? Would you rather just pay a fee every month and have everything done for you? Would obeying rules about when you can have your garbage cans out bother you, or do you want to live in a neighborhood where everything is ‘just so’? The answers to these questions can help you narrow down the search for the right type of property for you. You need a good agent who will work hard for you, is dedicated to helping you find the right home and at the best price. 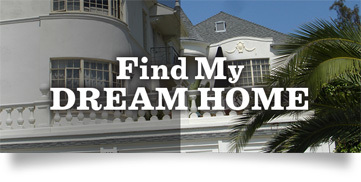 I want you to find the home that will make you happy and successful in real estate ownership. 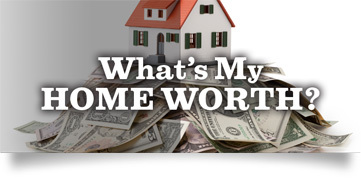 When you hire me to help you buy your first home, I want to know what you want and how much you can afford. My goal is to then find a way to merge these two priorities and find a residence that you’ll enjoy owning. Keep your objectives in mind when visiting a home. Sometimes the idea of owning a home can overwhelm your practical sense, so keep your feelings in check. Make and keep a list handy of the features that you need and want in a home, and judge each home by the list instead of by details that could distract you from your goal. After previewing a selection of properties available on the market, we can go over the pros and cons of each home. I will help you stay on track while still keeping a look out for a terrific property. Make the offer. This can be a maze of “buyer”, “seller”, “chattels”, “deposit”, and “completion”. I am happy to prepare the paperwork and go through it with you before submitting it. Remember, the seller may reject or counter your offer, so even at this late date, avoid setting your heart on the home you hope to own. You’ll have to write a deposit check to the seller’s broker that proves the seriousness of your offer. Get all necessary inspections done. A home inspector will check for signs of harmful materials like asbestos, lead paint and mold. They’ll also check for evidence of pests, faulty wiring and leaks. This is a crucial part of the home purchase. Not getting an inspection done means that you could be stuck in a home with a bad case of black mold and no recourse other than to pay for its removal. Inspections will cost a few hundred dollars, but again, this is more than worth it in the end. There are several inspectors in the area that I’m happy to recommend. Do a final walkthrough before closing the deal. I will do this with you to make sure that everything agreed upon is completed prior to the final signing. From the first interview that determines your requirements to the moment that you receive the keys, I am here to help you with the complicated process of buying a home. Don’t hesitate to contact me to find out more about how I can make the home buying process easier!